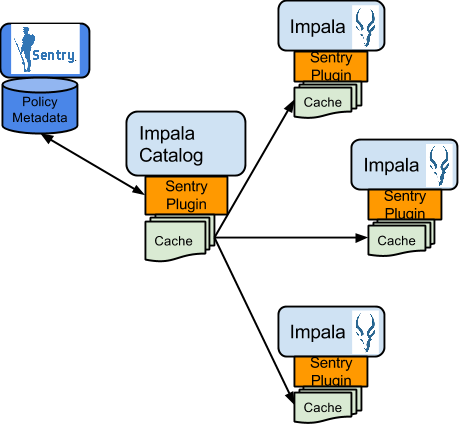 Sentry Tutorial - Apache Sentry - Apache Software Foundation for your Wiki! 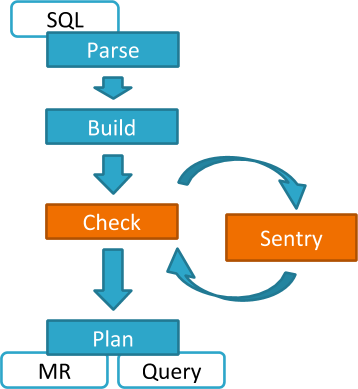 Sentry Plugin: The Sentry plugin runs in the data engine. 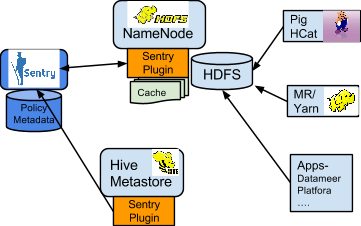 It offers interfaces to manipulate authorization metadata stored in the Sentry server, and includes the authorization policy engine that evaluates access requests using the authorization metadata retrieved from the server. Authorization models - Defines the objects to be subject to authorization rules and the granularity of actions allowed. For example, in the SQL model, the objects can be databases or tables, and the actions are SELECT, INSERT, CREATE and so on. For the Search model, the objects are indexes, collections and documents; the access modes are query, update and so on. finance-department group in AD. This will give Carol access to data from the Sales and Customer tables. Hue supports a Security app to manage Sentry authorization. This allows users to explore and change table permissions.